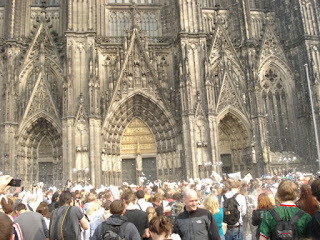 Travels and Stories: Cologne, Germany: Love Pillow Fight? 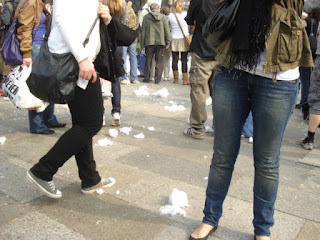 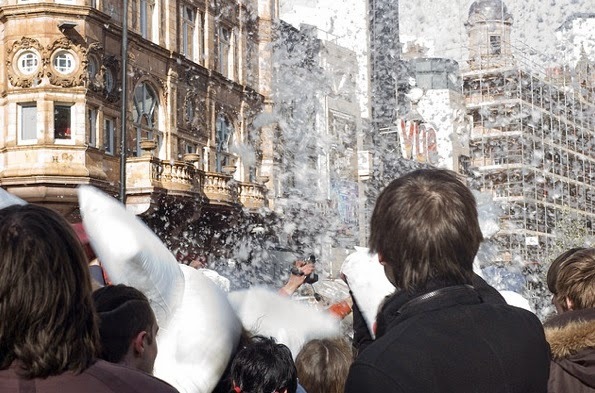 Cologne, Germany: Love Pillow Fight? 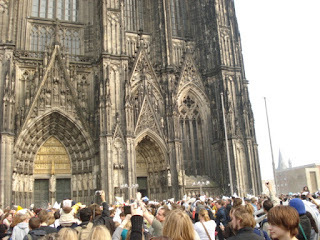 It was April, 2009. 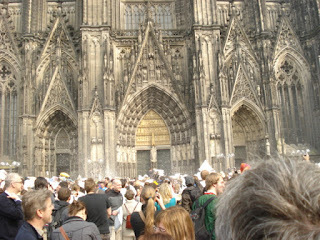 A friend had told me to visit the Cathedral (Dom) when in Cologne for its Gothic architecture. 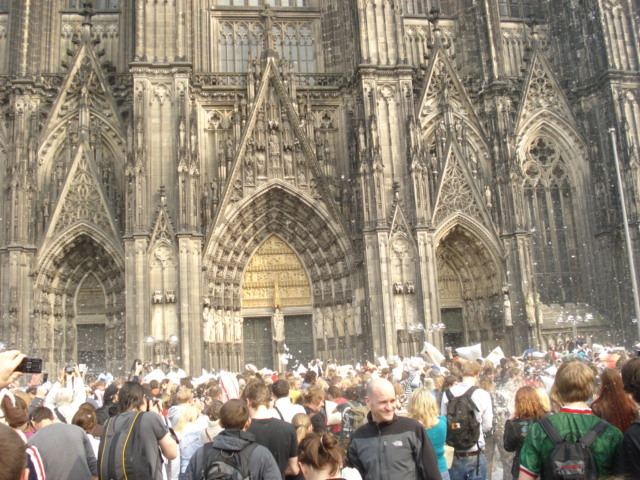 It is said that its one of the tallest cathedrals in the world and a heritage sites. The square in front of the Cathedral is quite grand with various works of art surrounding it. 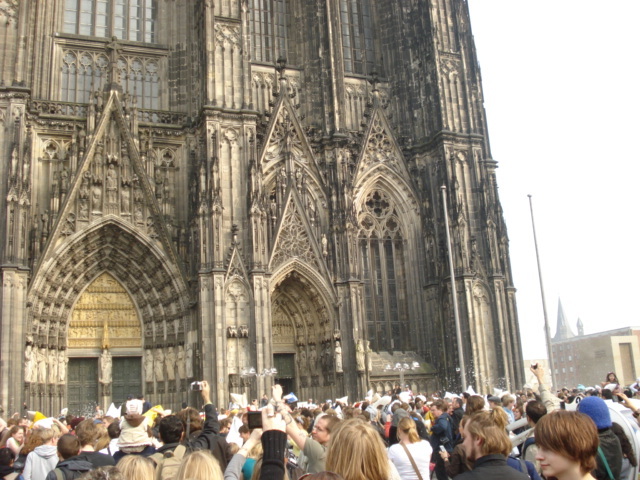 The cathedral is apparently one of the world's largest churches and the largest Gothic church in Northern Europe.